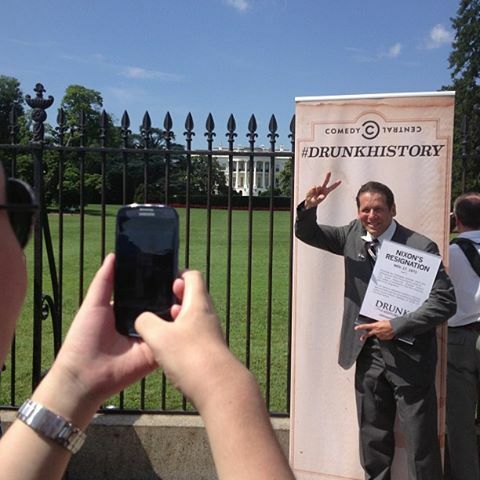 Comedy Central’s Drunk History came to life on July 8th as the PR Stunt provided an engaging experience to spread the word through various social media outlets in 3 markets. 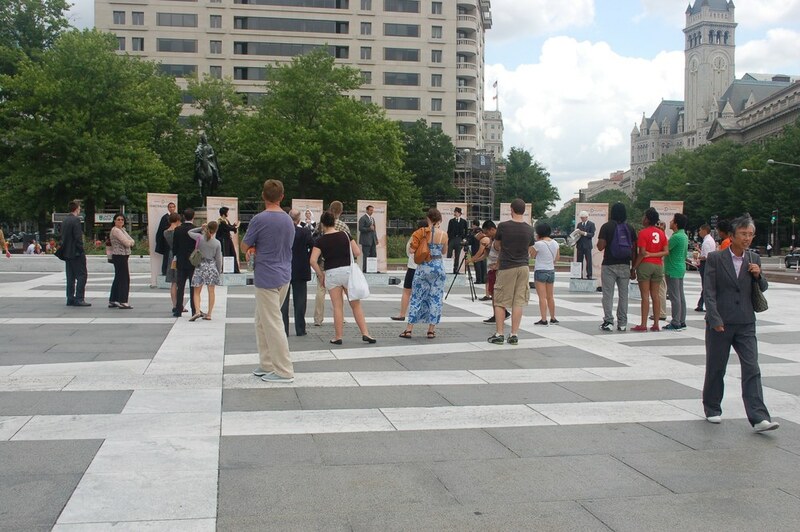 The guerilla stunt in New York, Chicago and Washington, DC was comprised of eight trained actors dressed as iconic historical figures from the show. 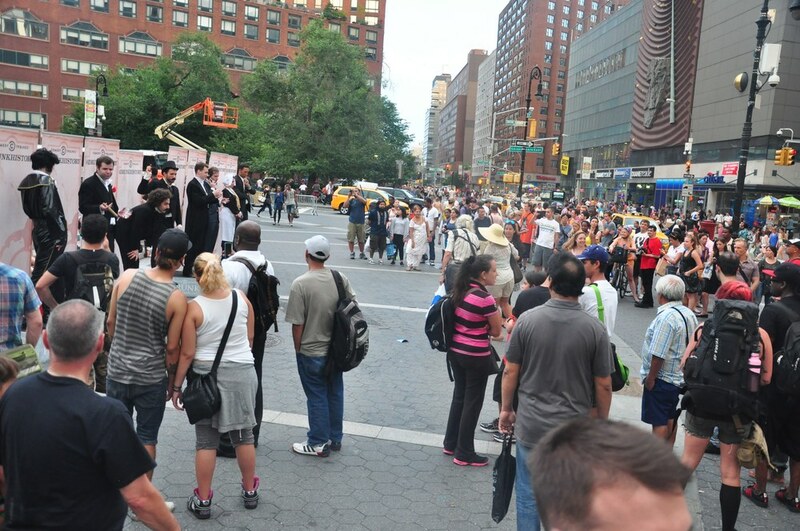 These actors popped up in high trafficked areas to lip sync to audio clips from the show. 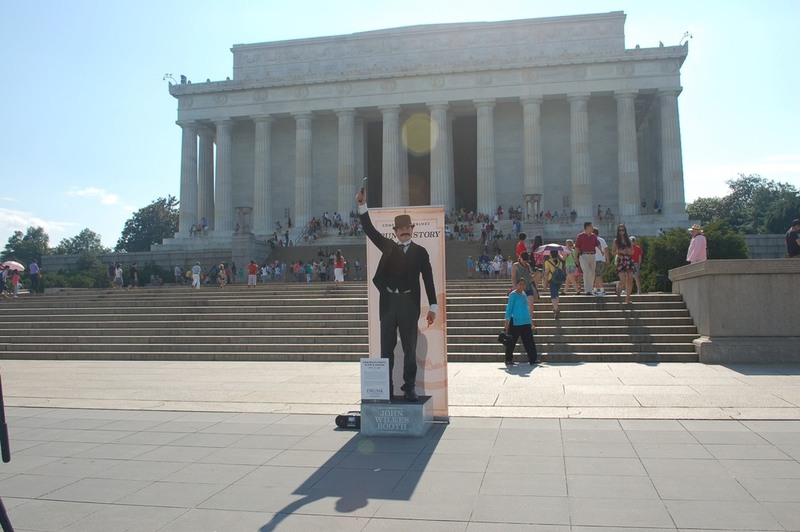 Each actor positioned in prominent locations standing atop their branded soapboxes in front of their #DrunkHistory pull-up banner with their portable sound systems and placement signs. These signs described each moment in history that the actor’s were performing which helped consumers jump into the scene. The performers played out the audio scenes to match the show’s episode vignettes including Mark Twain, John Wilkes Booth, Mark Felt, Richard Nixon, Al Capone, Elvis Presley, Harry Houdini and Mary Dyer. Each market reached thousands of consumers buzzing around the Drunk History characters for photos which were immediately posted to social media platforms. This social media amplification resonated throughout the day, multiplying impressions well into the thousands instantly. The one day stunt dominated both the footprint they performed in and social media channels such as Instagram, Twitter, Facebook, Vine and the like.